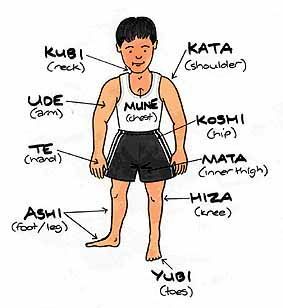 This entry was posted in Education/Videos and tagged body part names, japanese, judo, words on June 11, 2015 by Jiggy. As a quick background, I was first exposed to judo when I met two judokas—now my good friends—on the national team at the Olympic Training Center. Several months later, I landed an internship at the Training Center, working with their teammates. I have learned a lot from working with judo athletes—in fact, I cannot think of any other athletes I would enjoy working with more than the handful of judokas I currently train. There is something about this sport that is mesmerizing to watch. I go to practices whenever possible to watch my athletes in action, and I’ve traveled with them to tournaments. Honestly, judo is the only sport that has ever made me want to literally jump into the middle of a live event and participate. I was invited to participate in a practice and, while I had no idea what I was doing, I had a great time learning. Why? Because the athletes working with me had the patience and integrity not to snap at me for making mistakes. Judo is a sport built on culture, on tradition, and seems to have honor built into every action. The judokas begin and end each match by bowing to the referee and each other, as a sign of mutual respect. Even if the athletes want to rip each other apart, they are still honorable and respectful as they compete. What happens during the match does not affect who the athletes are at their core. The judokas do not allow the heat of competition to change them for the worse. There is something to be said about actions like this in our current culture, especially in today’s sport culture, where dishonorable actions are more and more common. I cannot think of a better sport to help teach life lessons to young athletes. All sports have tradition. I was a baseball player—and there was tradition in how I played, and how I conducted myself outside of the sport as well. Judo is no different…well, actually, it’s very different! We’re talking about a sport that was developed by the Japanese samurai many, many, many years ago. This sport is steeped in tradition and driven by the culture that created it. I’ve met some judokas who are second- or even third-generation athletes. The pressure to perform well is so palpable that, at times, I feel it too, as their strength coach. I want nothing more than for my athletes to do well—and my athletes want nothing more than to avoid letting their families down. Judo families care so deeply for the sport, and for their children’s or grandchildren’s success. 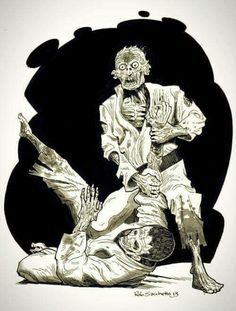 Even just today I heard stories of when some of my judokas were younger, having to perfect certain judo techniques before they were allowed to eat dinner. Right or wrong, this kind of familial dedication is seen as part of the judo culture. The discipline that is instilled in this sport, by most of its athletes that I’ve seen, is at paramount levels compared to traditional sports. Why is discipline such an important trait to possess? An athlete without discipline has virtually no chance to progress to higher levels of competition. Discipline is an absolute must for keeping athletes on track for continued progress. I see athletes who will struggle at a task or movement a few times and then give up. You will not likely see this from a judoka. I’ve seen joint dislocations, separated ribs, broken toes and fingers—and they just keep going! They go back to the mat, determined to be better than their last match. This discipline and determination almost always carries over to the athlete’s personal life, which leads to success in personal relationships and careers. For example, I have a few good friends who attribute their success in their personal lives to what they learned through competing on the national judo team. They are still involved in the sport, giving back to the new, younger generation of judokas. While you may see some former athletes giving back in more traditional American sports like baseball, football, and basketball, you don’t see it very often. If more athletes shared the same level of discipline and determination judokas do, I believe we would see more athlete success off the field, after they are done competing. Yes, most athletes tend to be hard workers. However, I have never seen athletes push themselves through as much pain as I have judokas. 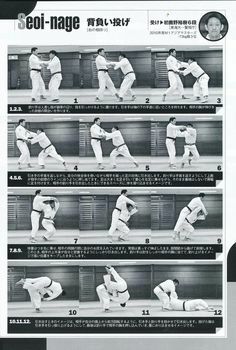 It is surprising how much pain and injury is dealt in a martial art sport like judo, where any kind of striking in absent. The pain tolerance that I see on a daily basis still amazes me. These athletes would rather lose an appendage than miss a tournament! Oh, and by the way, there is no “off-season” in judo. Judokas compete year-round and, if they compete at a high enough level, travel all over the world. In fact, two of my judokas just left for the Pan American Championships in Edmonton, Alberta, Canada. I think many athletes in other sports can learn a lot about how to grind through tough training from judo athletes. There is a level of critical thinking that is required in every sport but, in judo, we see a greater level. Judokas always have to be one step ahead of their opponent in order to be successful. They must know what choice their opponent will make next, and how to execute counters and attacks with precision, in order to stay ahead. 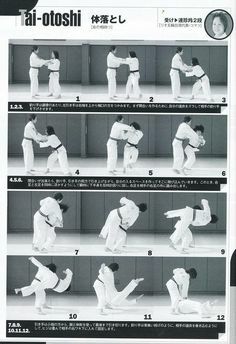 So it is a necessity for judokas to analyze not only their own movements to become better, but also the movements and strategies of their opponents. Once they know the type of fighter they are up against, they can better strategize for the match. Again, athletes from other sports can take a page out of the judoka’s playbook here. I believe that the more critical thinking is involved in anything, the more that individual will succeed. So, every athlete should be analyzing their movements and thinking about what to anticipate from their opponents. Athletes play a sport because they love the game. If you haven’t seen the movie For Love of the Game starring Kevin Costner, please do so…now. It’s been years since I’ve watched it, but I can still remember how it made me feel as a very obsessed, former baseball player. I played because I loved the sport, but there is a certain level you can play to as an athlete before it starts becoming a job. Currently we see baseball, football, and basketball players signing million-dollar contracts to play the game they used to play hard, or harder, for free. What is it they say about competitors? Something like, “Those that are at the bottom of the hill are more hungry than those at the top.” This means that we sometimes see athletes actually playing harder before they break into the professional ranks, rather than after. 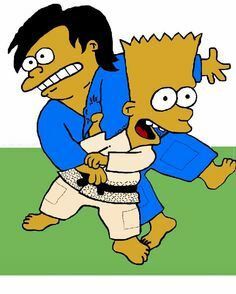 There are no true professional ranks in judo because it is an Olympic sport. These athletes are not paid and, if they make it to that highest, Olympic level, they can accrue a great amount of debt from all the competition travel required. This is a huge lesson in personal sacrifice, one that can be taught to many athletes of our younger generation: you often have to make sacrifices to reach your ultimate goals in life. 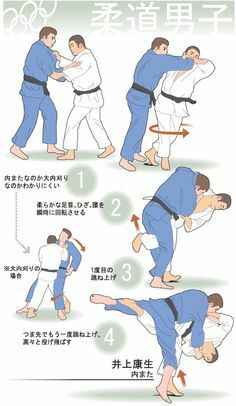 If you have no idea what judo is, or have never seen it played, I urge you to search for a local judo tournament or club. At the very least, look up some matches on YouTube. I truly believe athletes of other sports can learn a great deal from observing, participating, and just being around judokas. Judo is a sport unlike most other mainstream sports—and we have a lot to learn from it, if we pay attention. Doug Berninger, CSCS*D, RSCC, USAW is a guest contributor to the Volt Blog. He is the Assistant Strength Coach at the National Strength and Conditioning Association’s (NSCA) World Headquarters Performance Center in Colorado Springs, CO. He received his master’s degree in kinesiology from Bowling Green State University. Learn more about Coach Berninger at On the Platform and Beyond. 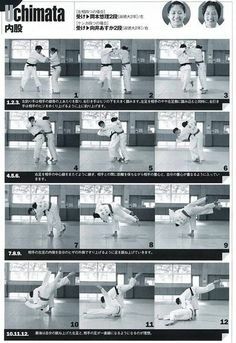 This entry was posted in Education/Videos, Uncategorized and tagged article, coaching, judo, martial arts, motivation, sports and fitness on May 15, 2015 by Jiggy.